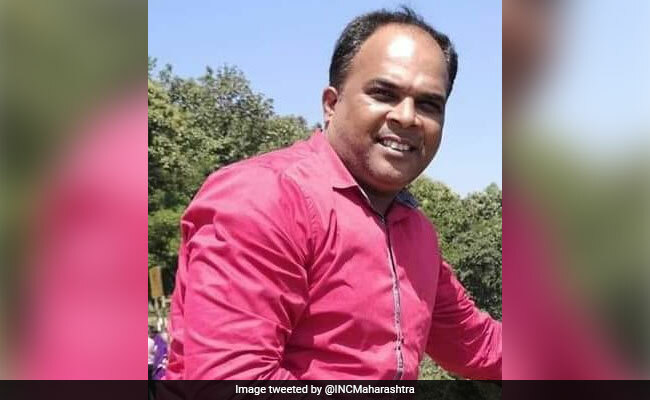 A Congress worker was allegedly stabbed to death, reportedly over a post on social media, in suburban Ghatkopar in Mumbai in the early hours today. Maharashtra Congress chief Ashok Chavan alleged that the accused belonged to the BJP. Manoj Dubey (45) was stabbed by two unidentified assailants near Asalpha Metro Station around 1.30 AM, a police official said. A police team took him to hospital where he was declared dead on arrival, the official added. Asked about some media reports which said a political post he had written on social media could have led to the killing, the official stated that the exact reason for the attack was yet to be ascertained. Mr Chavan, a former chief minister, took to Twitter to allege that the culprits were BJP workers. Manoj Dubey, a staunch Congress worker was murdered for his facebook post by BJP goons. We strongly condemn such a coward act! The culprits should be brought to justice. "BJP workers have brutally killed Congress worker Dubey. The Congress party strongly condemns the attack. It is not just the murder of Congress worker, but murder of democracy," he said, demanding immediate arrest of the accused. Leader of Opposition in the Assembly Radhakrishna Vikhe-Patil also slammed the BJP-led state government. "Is there rule of law or of goons in Maharashtra? The government must answer this question," he tweeted.